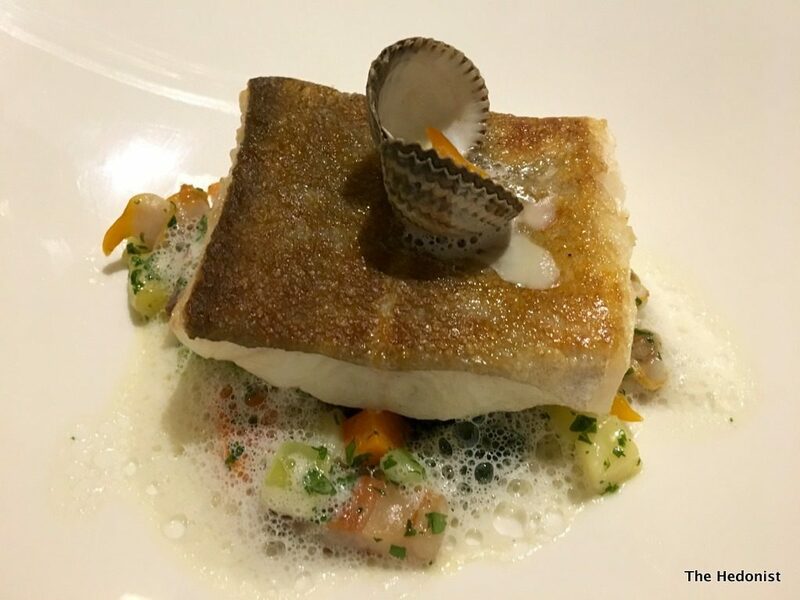 signature Galvin dishes with a West Country inflected British twist. 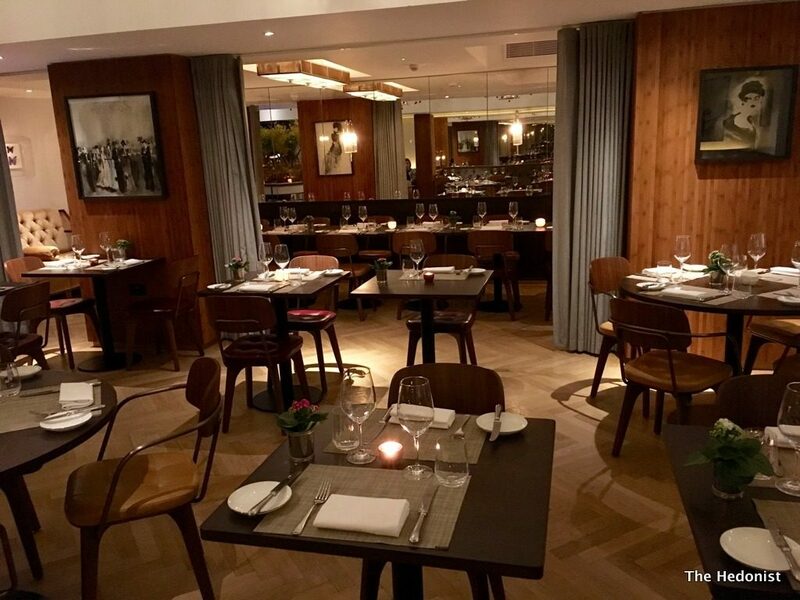 The interior is framed in a series of wood tones with parquet flooring and a hint of Art Deco. But on a cold winter’s night Fiona and I had come to eat and drink not to admire the soft furnishings. 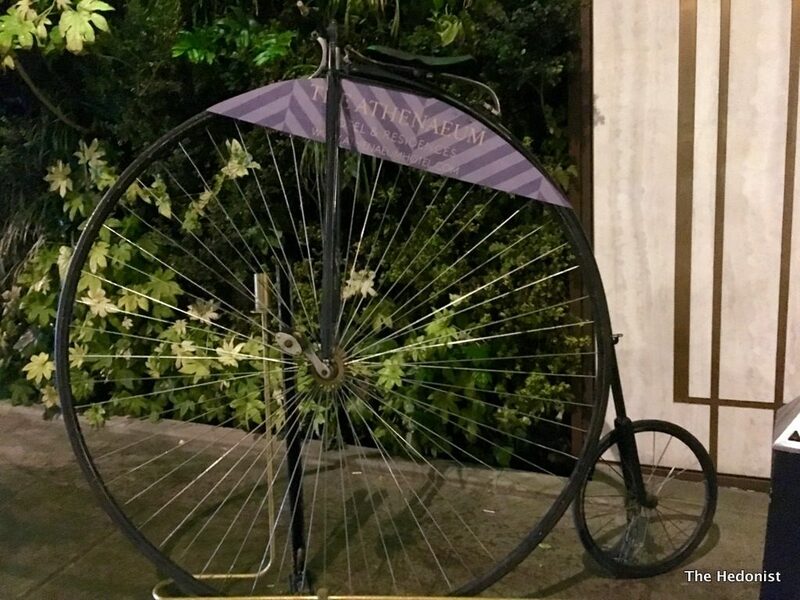 The charming Maitre D’ William Gambarini suggested matching our wines with the food and it would have been churlish not to agree. The wine list features English wines and stores them on tap in 25 litre tanks for freshness. To celebrate the burgeoning English wine scene we opened proceedings with a glass of Bacchus, made from the eponymous German grape variety, from the Kingscote Vineyard in Essex (£7.50). It was a perfect aperitif with its elderflower notes and a well-balanced acidity. 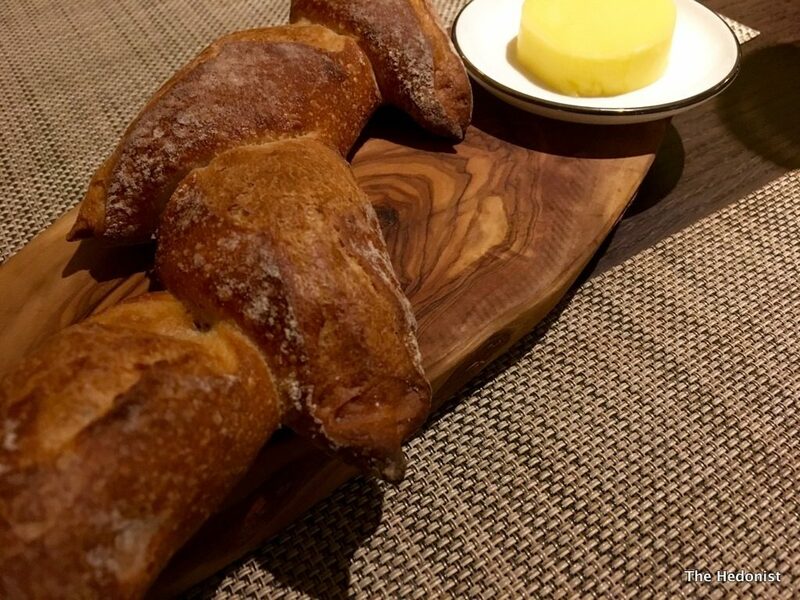 Wheat bread with Neverend Farm butter (£3.50) was fresh out of the oven and had great texture and flavour. 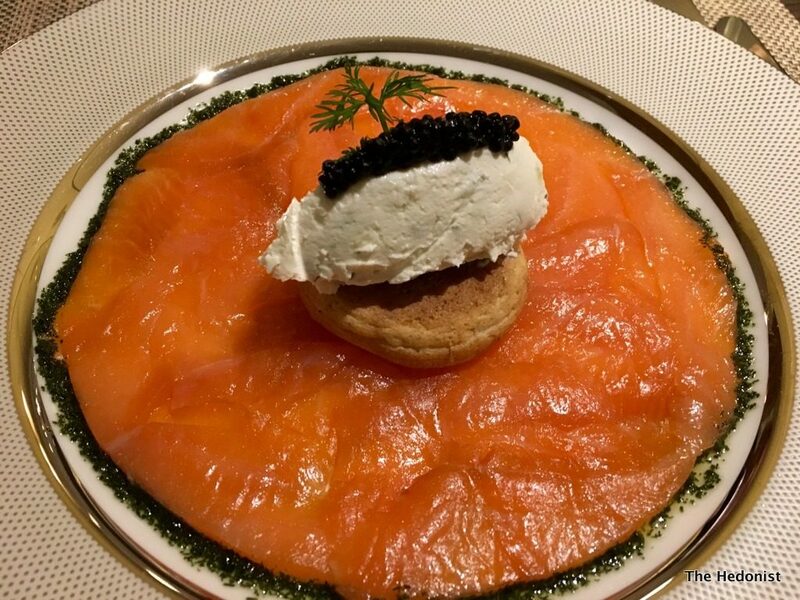 Galvin cured smoke salmon, blini, sour cream, and caviar (£12.50) had a delicate smokiness and was enlivened by the sweet dill sauce, the salty caviar and the sour cream which was well matched by Fiona’s glass of Galvin Bourgogne Chardonnay Terroir Noble 2014 (£10.25). 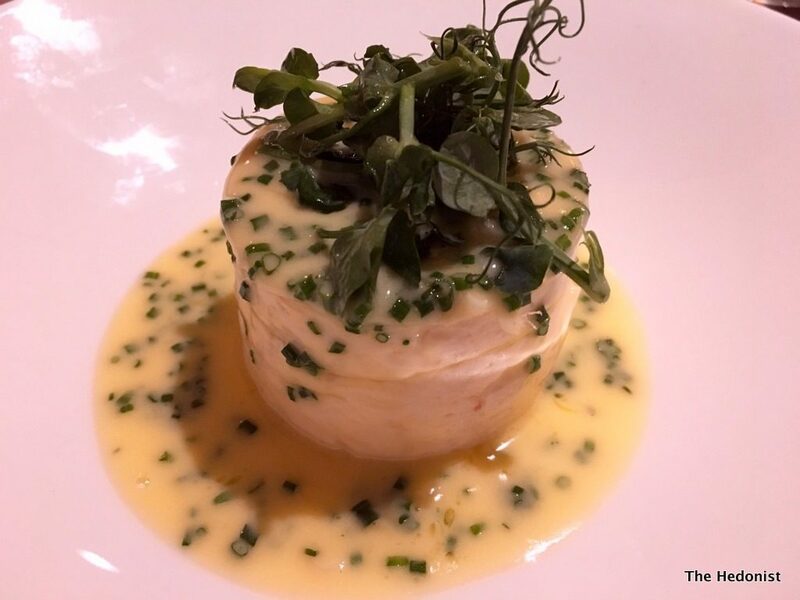 My lasagna of Dorset crab with a Nantais butter sauce (£15.50 ) had really silky, eggy (in a good way) pasta and a soothing chive and butter sauce with an undercurrent of lemon. I was drinking a Beaujolais blanc from Maison Coquard, Burgundy (£6.90) that was beautifully balanced with enough acidity to cut through the richness of the food. Elegance Rosé, Carteron, Côtes de Provence 2015 (£7.25) brought some welcome Provençal sunshine to the table. 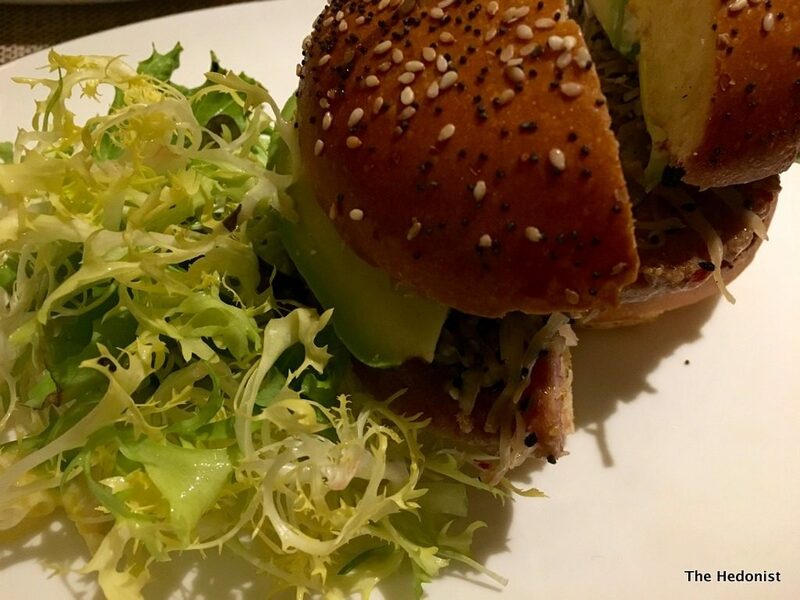 I was really excited by the prospect of my main, a Yellowfin tuna burger with white cabbage slaw and avocado (£21.50) as I’ve never had a tuna burger before. I love to eat my tuna very rare but I think that in the context of a burger I should have ordered it a little more well done to bring some heat to the middle of the bun. As it was it would make a great summer dish. My accompanying glass of Crimson Pinot Noir 2014 Ata Rangi, Martinborough, New Zealand 2014 was full bodied bursting with cherry flavours. 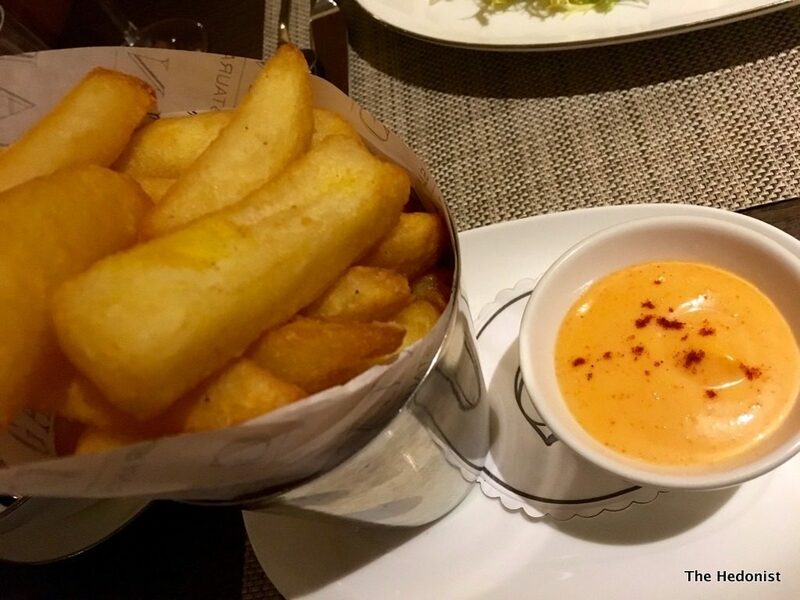 Our sides of sauté spinach was fine but triple cooked house chips had a surprisingly molten centre unlike any chip I had eaten before (they were made with Maris Piper potatoes) and came with a poky spiced mayo (£4 each). Domaine des Chénes Rivesaltes Ambré 2006 (£9). 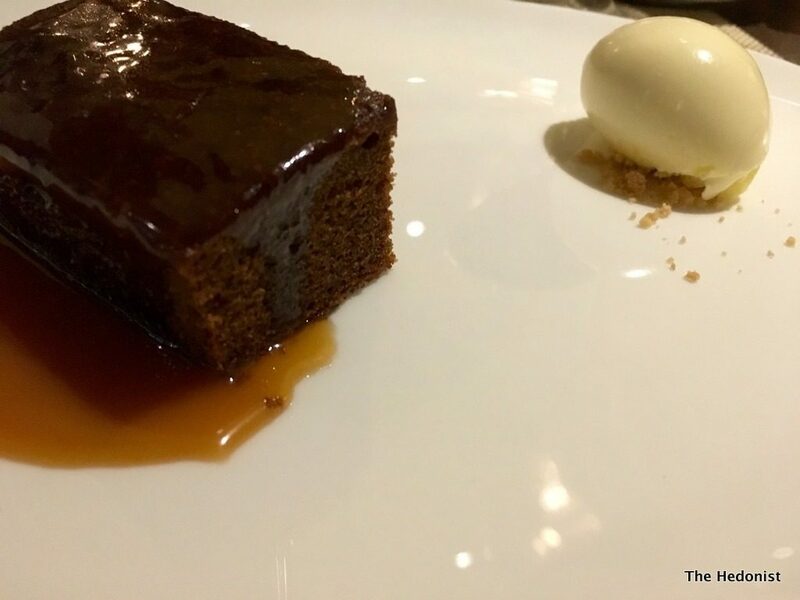 Fiona enjoyed her sticky toffee pudding with Cornish clotted cream (£8) given added rich raisin flavours by a tarry glass of Nectar Pedro Ximinez. 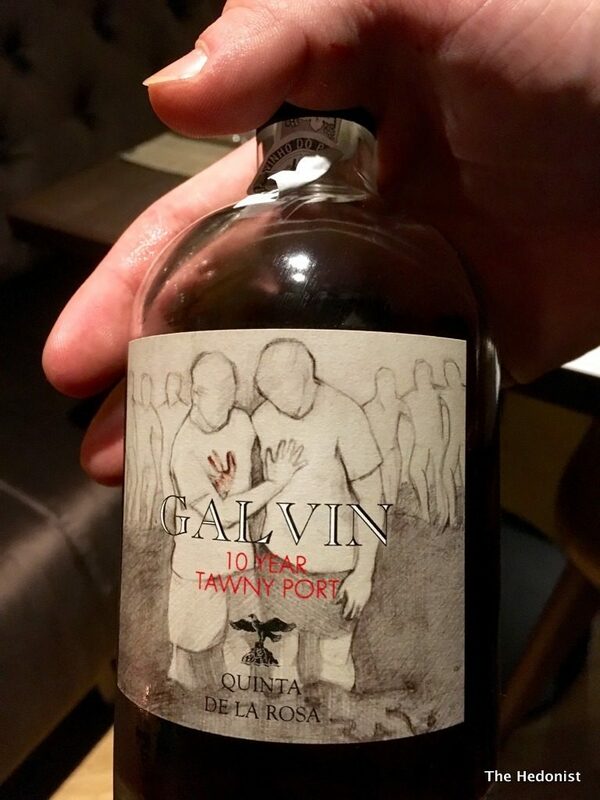 To finish (us) off William suggested a glass of Galvin 10 year old Tawny (£12) with an attractive label design from Chris Galvin’s daughter. 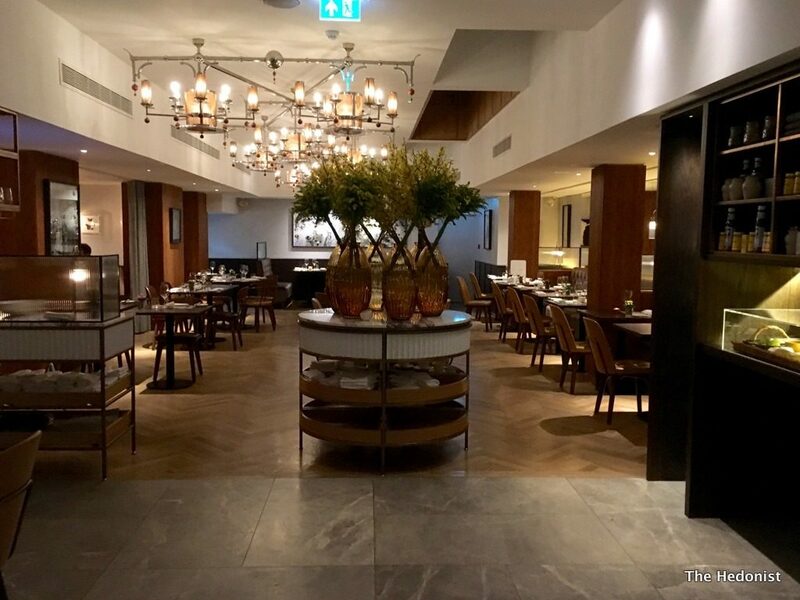 I love the Brasserie Deluxe concept-with the comfort and sophistication of fine dining but without the sky-high prices. 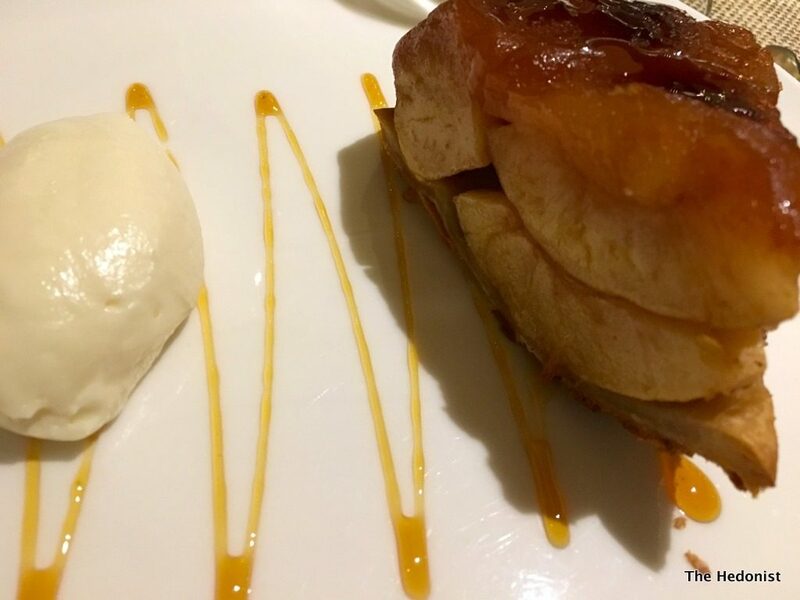 The menu at The Athenaeum is eclectic and accessible catering for the business traveller and tourist as much as the local business and residential crowd, but the Galvin’s commitment to quality shines through in every detail so its well worth a visit if you are in the West End.